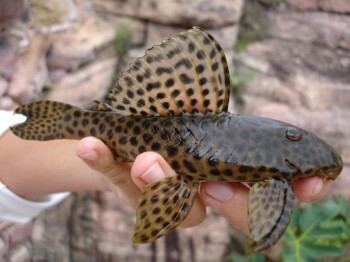 Hypostomus jaguar sp. nov. was collected from tributaries measuring up to 60 metres across and 1.5 m deep with rocky substrates and dark, moderate to fast-flowing water, where it occurs sympatrically with Hypostomus chrysostiktos. 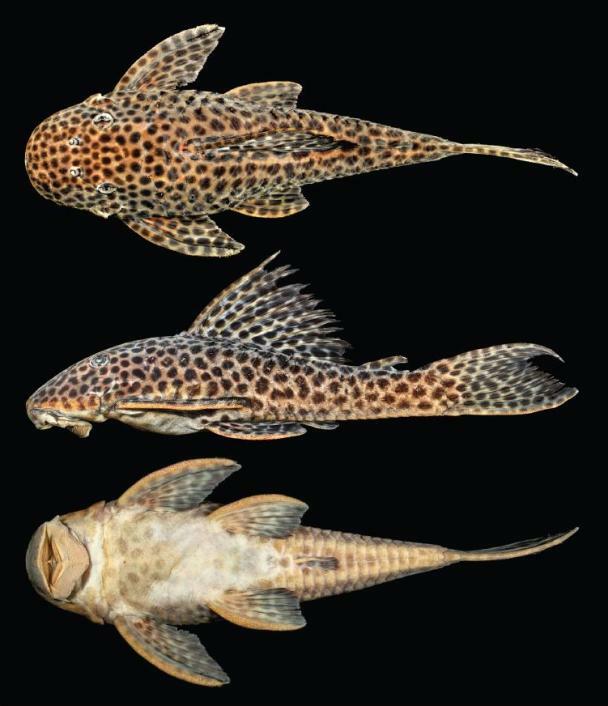 The new species can be told apart from others in the genus by a combination of: possession of black and conspicuous dots on a pale background, which are similar in size on the head, trunk, and fins; ventral surface of head and abdomen naked or the latter plated exclusively on its anterior portion; absence of ridges on head and trunk; caudal-fin lobes relatively similar in length. It differs further from H. chrysostiktos by possessing seven branched dorsal-fin rays versus 10-11. Holotype of H. jaguar © Zanata et al. It’s specific name is derived from the word ‘îagûara’ in the indigenous Tupi- Guarani language, which means ‘panther’, in reference to its black-spotted colour pattern. The rio Paraguaçu is a small coastal river system which is not under the influence of any larger system and is home to a number of endemic species with H. jaguar being the eleventh catfish alone.